The end of the year is coming up fast. Today is the day we’re releasing the last update of Yoast SEO in 2017. It’s been a wild ride this year and we’re already working on big plans for 2018. But first, Yoast SEO 6.0. And yes, we’ve heard you loud and clear; we’ve extended the meta description length to 320 characters. Update May 2018: Google decided to shorten the length of the meta description again, read what – not – to do. These past few weeks there has been a lot of talk about Google’s decision to change the default meta description length to upto 320 characters. We’ve been testing how Google uses this, and we’ve been talking to Google representatives to make sure that we’re giving you the right options. With today’s release of Yoast SEO 6.0 (including the TYPO3 version, Magento 2 will follow soon), we’ve changed the meta description length from 156 to 320 characters. It doesn’t often happen that we need to change a feature in Yoast SEO following a change by Google. Please read Joost’s post on impact of the new snippet length on SEO in general and Yoast SEO in particular. Now, having double the characters doesn’t mean you should go back to your site and change all the meta descriptions on all of your pages and posts. No, that would take ages if you have many posts and in case you would – and you should – handwrite them all. Your rankings will not drop if you keep your meta descriptions the same. It is, however, a good opportunity to revisit them to make sure your site stands out in search results. While we’re still actively determining new best practices, there’s no harm in experimenting with this new meta description length. Pick a couple of posts and pages first. Check if Google picks up your newly written meta descriptions. Do your own testing before you go all in and change everything. These longer meta descriptions give you enough room to show people what you’ve got, without giving away everything your article contains, of course. You still want people to click your search result, if that’s your goal. Keep in mind that, most of the time, Google will lift a custom meta description from your site. There is not much you can do about it other than writing killer key paragraphs about your focus keyword in your content and try to get Google to use one of those. As I said, we’re monitoring what this change means and will report back with more solid data and advice in a couple of weeks. An example of an expanded meta description edited by Yoast SEO. Shows up on Google.nl, but not in other regionals. Your results may vary. We’ve made several other enhancements in Yoast SEO 6.0, including some community contributions. For instance, we’ve added support for custom page titles and meta descriptions on WooCommerce shop pages as suggested by Caleb Burks. Now, you can add custom metadata to your WooCommerce shop. Raaj Trambadia suggested we should add a link to the Google Knowledge Graph article on Yoast.com, so we did. Finally, the focus keyword box in the Yoast SEO meta box features a link to a new article by Marieke. In it, she explains why it might be a bad idea to use the same focus keyword more than once. This makes Yoast SEO the final release of 2017. What a great year it’s been. Next week, we’ll publish several posts in which we look back upon the year. Of course, Yoast SEO gets its own post. Be sure to read it! Thanks for your support and we hope to see you again in 2018. Happy holidays! Thanks. Now, we have more length to write more convincing meta descriptions for the Google results. Do we need to alter old posts’ meta desc to 320 characters? After 6.0 update the plugins works completely fine. Now there is no issue at all. Thanks for the update. Hello Edwin! I noticed the search results few weeks ago. I have seen the search results has “more characters” (as much as double) in description than it was. Until i update the new Yoast version, start a new article and i see: Oh man, how long my meta description must be? I found this article. So, Yoast do the update right time for us! I still a bit confuse that: Do you think Google will come back to “shorter description” or not? I follow and hope to read your research of this change in the next articles. Thanks much for your yummy 6.0 version, Yoast! Merry Christmas and Happy New Year to Yoast Team! No problem, Long Phi! 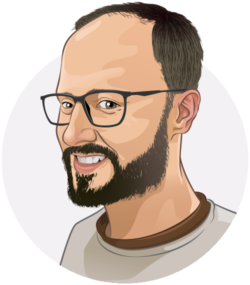 Great that you’re enjoying Yoast SEO 6.0. Happy New Year to you too! should i change meta descriptions in some of my popular post to maintain its position in search engine? Hi zakky. At the moment, you don’t have to do anything. Google doesn’t change its rankings all of a sudden. If you want, you can experiment of course. See if you can write brilliant new longer meta descriptions and get Google to use them. We’re conducting research to find out what the best strategy will be from here on out. You’ll hear from us when we do. I’m a bit confused. To use 6.0, I must uninstall 5.0.? No, you can just update your current version of Yoast SEO to 6.0. Thanks for this update. Now I can put more words in meta description. I am novice so I do not how to put meta keywords in posts? Is there any facility to put meta keywords also for every single post (like keyword 1, keyword 2, keyword 3) ? I do not see it anywhere in yoast. I noticed my reviews are gone in SERP’s for pages that have schema markup for reviews. Can you shed any light on this? Hi Curtis. Haven’t really noticed that yet. Will look into it. Thanks for bringing it to my attention. Re-writing all posts and pages might sound a heavy job for me, on the other hand, yes…this update might bring a benefit for woocommerce site since they can write some highlight about the product. Anyway, nice article, thank you for the update. Yoast is an absolute life saving! I’m really grateful that SEO is very easy! Yoast is an absolute life saver! Just launched aniaid.org with limited funds. Am really grateful how easy you have made SEO without outsourcing! Thankyou for this update. I hope that google take a breake from changing the algorithm. Hi Alat. You don’t ‘have’ to change anything. If you find that Google accurately generates longer meta description based on the content on your site and you’re ok with that, you’re good to go. But if you think you can write better meta descriptions you should have a go yourself. Experiment and find out what works for your specific situation. I’ve recently had Yoast Premium installed. Is it automatically updated or do I now need to repurchase the latest version if I want to us it? Hi Robert. If you update your plugin to version 6.0 you will see the change in the meta description length. I updated Yoast plugin on my WordPress blog but still, it turns read when I write my meta description I don’t know what is wrong with the plugin, and also when I click on the eye where it shows which portion of the text has problem, that is also not working. Should I re install the plugin or is there any fix? Looks nice, missing information where can we download yoast 6.Do we need to buy it?We are existing subscribers for Yoast premium plugin. Hi. 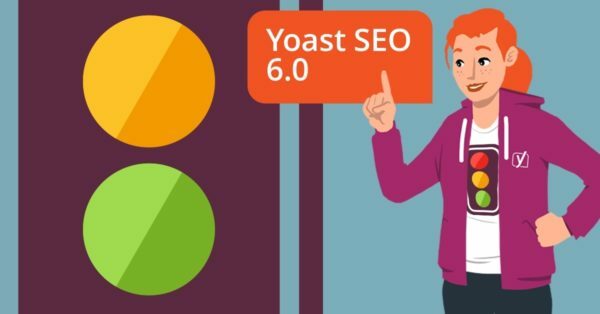 If you’re already using Yoast SEO you should update to 6.0 and you’re good to go. Thank you, Edwin, for the very informative article. Organize more information. If you tried a bit on the featured snippets you might to see it never ends. Once you click in one, opens another 5. And another five. And another 5. And so go on. I don’t know exactly how this will impact the seo efforts but I wouldn’t like to see my website on FS instead organic results. That would be a disaster for me as an ecommerce website – http://www.personalizedcoffeemugs.ca – by the way, our product is custom and personalized, which means the same thing. The problem is the variations. Custom for me is much better and important than Personalized. This way I’m trying to add this new features and see what happens next. I believe if you insert variations – but not cannibalization of your keywords – in the same meta description will help to rank up better! Hi Antonio. Of course, not every site benefits for a featured snippet. If you don’t want a featured snippet for certain type of content, you shouldn’t aim for it. Write your content in the best possible way, based on your focus keywords of course and the meta descriptions might just be generated automatically for you. If you want something else, you need to write a meta description specifically, by hand if possible. This is a very welcome change. I’ve been butting my head up against the character limit for quite some time. Just another reason to recommend this AWESOME plugin! Keep up the great work! … and still my opinion ist. Even forget the 320 boundary. If you write 400 signs and someone searches in Google for the word “Yodeling” appearing at sign 380 Google snippet will show “… Yodeling etc. etc etc.” in the snippets. This is why the 160 boundary already was obsolet. Only important to know to insert the most important information in the first 2 lines – now 4 lines. WHAT DO YOU ALL THINK? Hi Michael. You are right and that’s why it could make more sense to write awesome paragraphs in your content about your keyword and get Google to use that. That’s a great news. Instead of editing bunch of posts can we use %%excerpt%% so that it can easily pull the content from the published post? By default the %%excerpt%% tag takes only 156 characters, co it won’t work right away. Or use a plugin that changes that value. Hi Vivek. You can, but it might be a good idea to test the waters first. See what works and what doesn’t. After that, you can determine your meta description strategy.